As the President and founder of YogaFit©, Inc. the largest Yoga School in the world; Beth is recognized, as one of the leading experts in the fields of “mind body fitness”, health and nutrition, and is a recognized anger management specialist. Shaw is the entrepreneurial innovator behind many fitness trends including YogaFit Sweat, YogaLean and popular YogaButt. Beth’s long awaited book YOGALEAN is being released from Random House in Fall 2014. Her first and second edition of YogaFit (Human Kinetics) has sold over 100,000 copies worldwide. Shaw has been published in numerous fitness, business and consumer publications including Time, LA Times, USA Today, Entrepreneur, SELF, FIT and Yoga Journal. Shaw speaks frequently at Universities and corporations on Mindfulness in the workplace, health , fitness and the business of spirituality. She is currently on the CanFitPro Advisory Panel and the Long Island University Board of Advisors. A life long student of fitness, psychology, philosophy, spirituality and health, Beth is committed to helping people find their own perfect health‚ physically and mentally. An EYRT, she has spent time in India and Asia studying yoga and holds numerous certificates in fitness disciplines, as well as a bachelors degree in Business Administration & Nutrition. She has also been a trained Yoga Therapist through the IAYT since 1994. 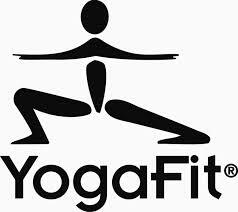 Learn more about Beth at the YogaFit website.